The Asana – Yet another luxurious collection by award winning developer, Aurum Land (Private Limited), who has won the Best Boutique Developer (Singapore) in 2015. Nestled in Singapore’s most prestigious neighbourhood, the Bukit Timah Estate, The Asana comprises of forty eight premier apartments varying from one-bedroom to three-bedroom suites. This elegant urban sanctuary is a freehold development and is now open for sales. Featuring an exotic blend of bold contemporary architecture and modern design concepts along with comprehensive resort-like facilities, The Asana exudes an aura of peace, tranquility and placidity. Sitting in the private enclave in prime district 10, the future residents of this exquisite development revel in the perfect balance of life and lifestyle. The Asana is just a stone’s throw away from the city, it sits in between two MRT stations, Tan Kah Kee and Botanic Gardens MRT stations of the Downtown Line. Both stations have started operation since December 2015 and are a mere few minutes walk away from the development. The Orchard shopping belt and Central Business Hub are just within a few stations away. Our Star attraction, Singapore Botanic Gardens which is honoured as a UNESCO World Heritage Site and showcases a wide variety of plants collection is also just a short walk away. No doubt, the Botanic Gardens will be a great setting for a refreshing morning or evening workouts for the residents. The Bukit Timah Estate is well known for being home to several well-established schools in Singapore. Being in this distinguished neighbourhood, The Asana is within 2 kilometres away from top schools such as Nanyang Primary School, Singapore Chinese Girls’ School, St Margaret’s Secondary School, Hwa Chong Institution and National Junior College etc. The Asana showflat will is now open for priority viewing. Simply give us a call @ +65 6100 4668 or drop us a text @ +65 9137 4668 to find out more about this new launch today. 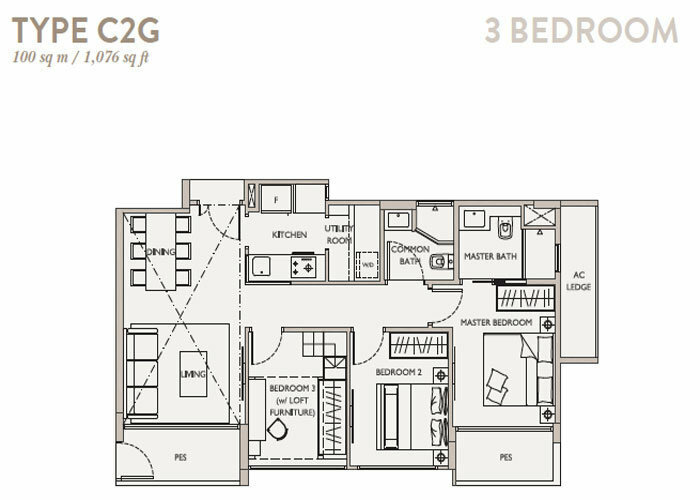 Contact us for full range of floorplans. Register your interest with us @ +65 9137 4668 now! If you love developments by Aurum Land, you might want to take a look at The Orient @ Pasir Panjang as well.